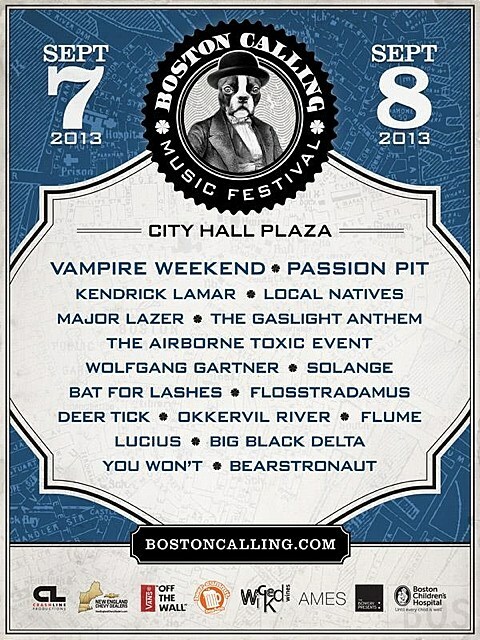 The first-ever Boston Calling Music Festival went down over the weekend (5/25-26) at Boston’s City Hall Plaza. It was headlined by The National (whose Aaron Dessner also curated it, and who just did lots of album celebrating in NYC), and also included sets by The National’s tourmates Dirty Projectors, The Shins (who also played a NYC show this past weekend), The Walkmen (who play a free show during Northside), Youth Lagoon (who open The National’s Barclays Center show), and more. 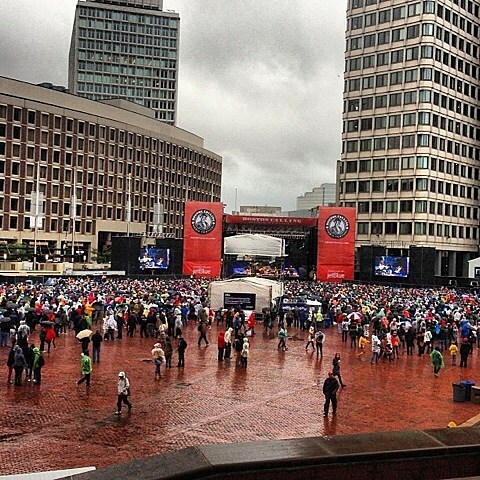 Despite the rain and cold temperatures we were faced with over the weekend, the inaugural festival still seemed to be a success and festival organizers have already announced that Boston Calling will return this fall on September 7 and 8. The fall lineup is being headlined by Vampire Weekend on the Saturday, along with sets by Local Natives, The Gaslight Anthem, Bat For Lashes, Deer Tick, Okkervil River, and more; and headlined by Passion Pit on the Sunday, along with sets from Kendrick Lamar, Major Lazer, Solange, Flosstradamus, Flume, and more. Full lineup below (via Pitchfork). Early bird 2-day passes go on sale Friday (5/31) at 10 AM and single day tickets go on sale June 7. Both Local Natives and Kendrick Lamar also play NYC festival Governors Ball in June, which is only one of Kendrick’s upcoming festival appearances in the NYC-area. Vampire Weekend and Solange play a NYC show together, and Solange also plays a free show during Northside. Major Lazer and Flosstradamus will hit NYC for their Mad Decent Block Party. And The Gaslight Anthem play two NYC shows this summer too.